Can you believe that 2018 has come to an end and 2019 is here?! I sure can’t. I’m not sure if it’s from the busyness of the holiday season and end of year deadlines, the wild ride that was the first year of business…or a mixture of it all. Either way, I’m ready to take on this new year. When I sat down and thought about the goals I want to accomplish and the resolutions I want to complete, there were some common themes: habits, consistency, pattern. I want my life, personally and professionally, to be in a good groove. Some of this looks like creating morning and evening routines, wellness, blogging more consistently, reaching out and networking with more local professionals. 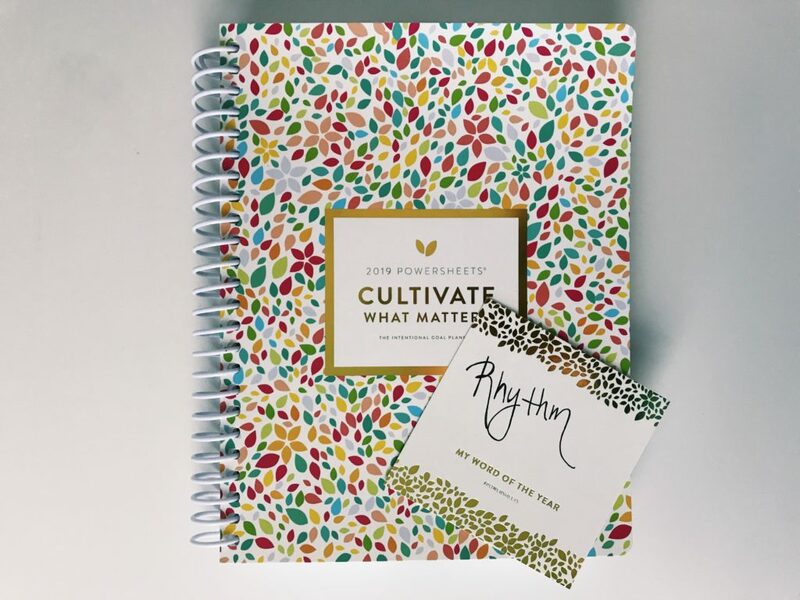 As I wrote this all out and talked about it with my friend and business accountability partner, Amanda, one word came to mind: rhythm. This stood out to me because so much in my life is intertwined (related elements). These related elements include: daily habits and routines, to wellness, to personal life, to business. When I am in a good rhythm (regular recurrence), my business and personal life will thrive. From my big list of goals and resolutions, I’ve begun to break them down into quarter goals; from quarter goals to monthly, monthly to weekly, and weekly to daily. Some of them are pretty mundane, like going to bed and waking up at the same time every day. Others take a bit more effort and intention like reaching certain revenue goals in my business. One thing I’ve learned is to give myself grace. I started to work on some of the goals prior to the end of the year (like getting an alarm clock instead of using my phone) and thanks to my PowerSheets (more to come on those! ), I’ll be able to track how each of these goals are working and make changes as I need. 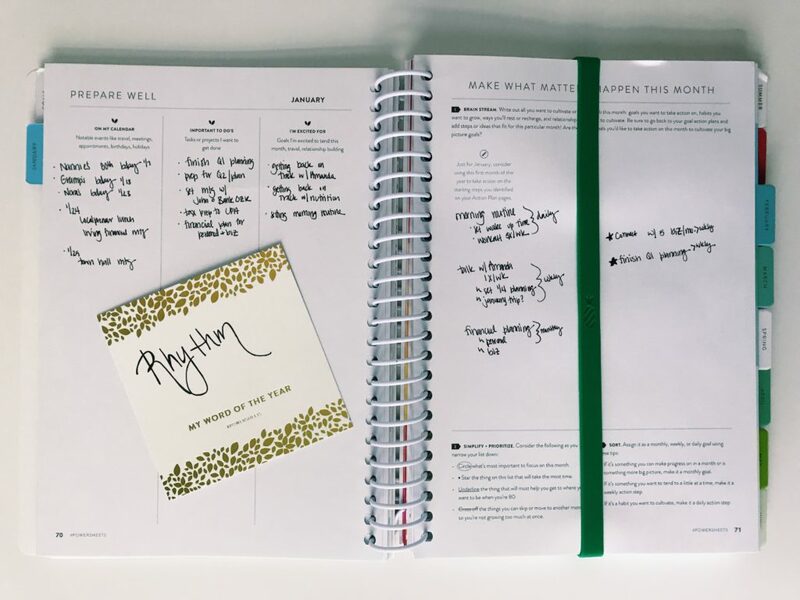 I don’t have all of my goals for the year meticulously planned out, but – I’m reminded that “done is better than perfect!” I’m looking forward to sharing more of how I use my PowerSheets and what my goals are throughout the year. For now, tell me: do you choose a word for the year? If so, what is it? Let me know in the comments & let’s cheer each other on as we begin 2019!